Silver Sage Sports & Fitness Lab is now offering a 20 percent donation to Bike Like A Girl for anyone who mentions Bike Like A Girl when they sign up for physiologic testing, bike fitting, gait analysis or a year of coaching, paid in full. 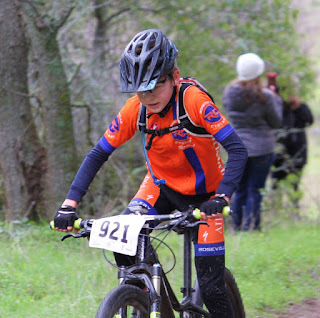 Bike Like A Girl organizers Julie Young, Michelle Faurot and Sian Turner formed the organization with a mission of creating an environment for girls that promotes social and emotional learning, as well as a lifelong love of cycling. Since then, they have added in STEM (science, technology, engineering, math) elements like understanding the math involved in planning bike trips and engineering in repairing bikes. Bike Like A Girl started in Reno, will expand to Roseville and then the sky is the limit. “We’re working with educators on the STEM aspects, as well as psychologists to help with confidence-building, then we’ll create a template that can be picked up and used anywhere in the country,” Faurot said. For the inaugural Bike Like A Girl program, eight girls, ages 10 to 12, were recruited from local Girl Scout and soccer programs. 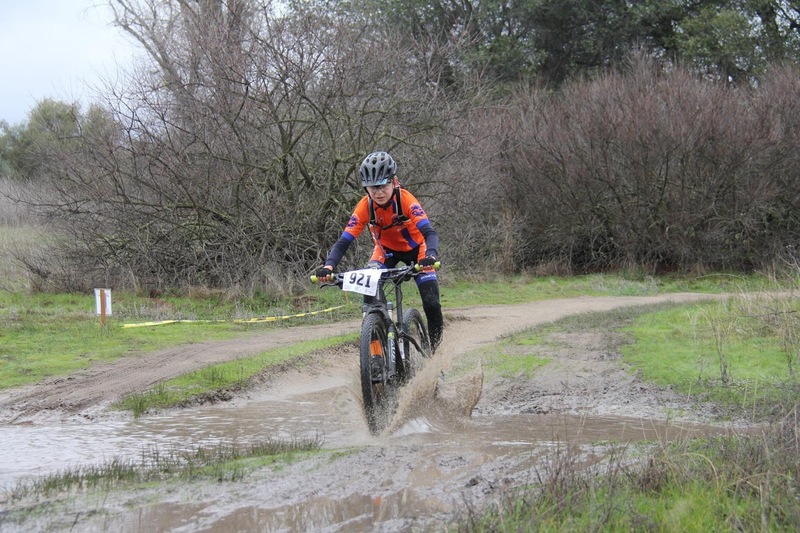 During the four-week program that ended in November 2015, the girls learned cycling skills, mechanics, safety, rules of the road, and engineering skills to design their own obstacle courses. For more information on Bike Like A Girl, visit https://www.facebook.com/Bike-Like-a-Girl. For more information on Silver Sage, visit www.silversagecenter.com/sports-and-fitness. 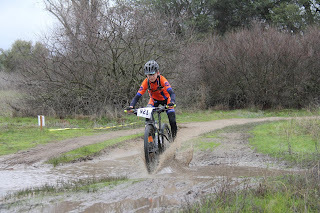 The Reno Wheelmen/Women just completed two days of focused training in Auburn, California. Thirteen riders, including several from Project Hero City of Reno, headed over the hill to spend two days learning from Silver Sage Sports and Fitness Lab Director, and O2Fitness Head Coach, Julie Young. I have to start with the weather! We kept counting our blessings that after the prior weekend’s rain and snow in the west, how lucky we were to hit the perfect weekend – sunny with highs in the 60s and 70s! You can’t get better weather than that. There’s nothing like green, rolling hills, and mostly rural roads with amazing scenery to lift the spirits after a couple months of gym workouts and riding on the trainer. There were lots of smiles, despite all the hard work being done by all the riders. Proof there’s no such thing as packing light! We rented a team house in the Loomis area, which made it possible to ride to most of the training venues. The location gave us the perfect place to settle in and have a great base of operations (possibly complete with poltergeist). Day one started with a sprint workout in the English Colony area. Julie’s intimate knowledge of the roads meant we had a nice circuit for training with some gentle rollers for a bit of extra challenge – not just your flat loop around Air Center! Each loop included two sprints, which challenged our ability to recover from hard efforts in bigger gears. A group chalk talk about sprinting and apexing turns. The two-and-a-half hour session included solo sprints, as well as double and three-person team lead outs. 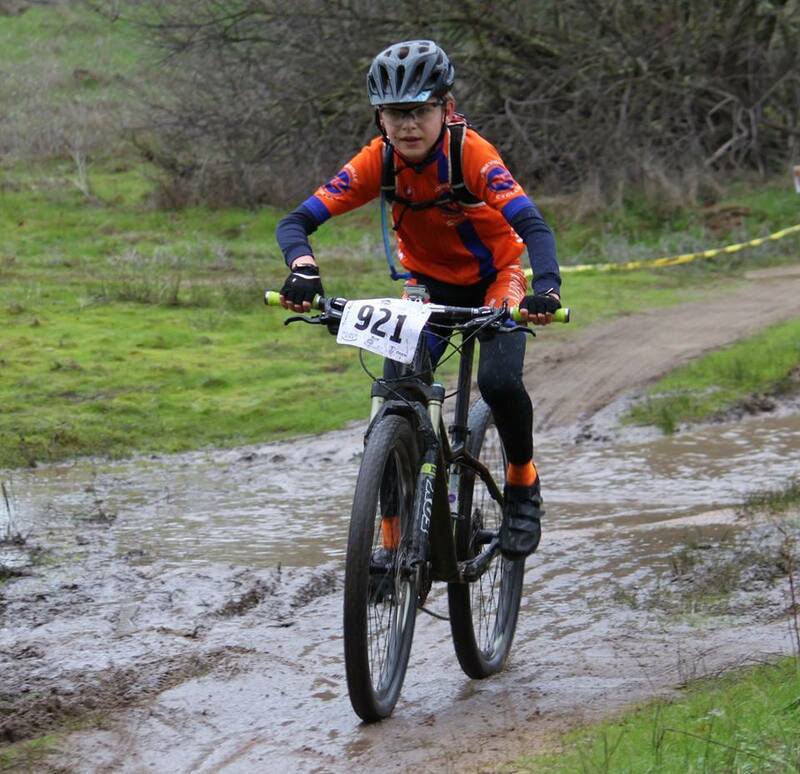 Several riders hadn’t raced before, so they were able to pick up new skills, like drafting and how helpful it can be under any circumstances. Riders also learned about apexing turns and the benefit of riding intervals at higher intensity levels. We finished up with some rolling climbs up toward Auburn and back to the group house. In the afternoon, we did a one hour active recovery ride as the sun was setting. Despite already being tired from the morning workout, everyone enjoyed the spin and its positive effect on our tired legs. We all felt sluggish at the start, but quickly realized how that quick spin helps the body recover. Post-ride, we enjoyed the ability to eat an awesome potluck dinner for complete refueling. Cyclists are often great cooks (or we can shop well!) and this group was no exception. We needed Saturday night’s dinner and Sunday morning’s breakfast as fuel for Sunday’s hill repeats. Baxter Grade, just north of Auburn, is a local classic. It works well for approximately 10-minute intervals with a variety of power outputs easy/hard, easy/hard). The legs and lungs have to adapt to the changes in pitch in the road. Five times up and down made for jelly legs, but having people around to offer encouragement was the kicker that got us all to the top of that fifth repeat. The first hill repeat on Baxter Grade, when we were full of energy! Several of us skipped some major Sunday sporting event for an hour of active recovery later in the day, including a tour of Itchy Acres (my new favorite name for a rural/suburban housing tract!). Another great sunset was on tap, along with more incredible, green scenery. It’s amazing how beautiful that color feels when you live in a desert. It’s amazing what a weekend camp can do for your riding. Personally, I needed a reminder about why I love cycling so much. I got that reminder from riding with great people in an amazing location that has world class terrain for cycling. I also got that lift from feeling my body riding and recovering better than I thought it would. There have been days over the winter that I couldn’t train as much or as hard as I wanted to, so feeling reasonably good after two days of pummeling myself was a nice surprise. Riders also learned about more than just the physical benefits of doing intervals. We definitely discussed their cardio and strength aspects. But, Julie’s coaching includes so much more, like focusing on pedal stroke efficiency. She makes it clear that you can’t just mash the pedals or “phone in” the workout and expect to gain much benefit. Lots of smiles after the LAST hill repeat on Baxter Grade! Another rider mentioned how much she learned about the importance of a great bike fit and position on the bike for optimal use of large muscle groups (hear that, glutes?). It’s easy to talk about it, especially if you’re a devotee like I am. However, it’s an awesome thing to witness when someone else really feels that “I got it!” feeling for the first time. In addition to details like these, a training camp really helps with the mental aspect of the sport, like applying what you’re doing to real-life situations (racing, riding centuries, etc.). This helps us remember why we’re training in the first place. That “aha!” moment gives each workout so much more oomph! Finishing up strong with a nice group ride. Finally, a camp can help you push yourself through those last couple of painful pedal strokes at the top of the last hill repeat when you’re beyond tired. Hearing others cheer you on and hearing Julie’s voice from behind you when you’re just about to fall off your bike… those things can help you finish that last 100 meters strong and with purpose. That’s when training really pays big dividends. Obviously, I’ll close by saying that if you have the opportunity to take part in a couple of days of intensive training with Julie, DO IT. We all have those moments where we might be intimidated to dive into that pool, but it’s so worth it. Like she said, “No one wins hill repeats!” Camps like these aren’t about that. They’re about pushing your own personal limits and finding out what you’re capable of. That, to me, is time well spent. I woke upon Race day and felt great and ready to race. I knew I probably wasn’t going to get first because of the high school sport kids dropping down to race 2 laps instead of 3. I got to the race and felt great. I did my four mile warm up since it was cold. Then I waited to line up for the start.They changed the start order so I ended up almost dead last out of 47 kids. I had to catch up on the levy. It was very chaotic at the start and I had to dodge people. One kid crashed by the recycling bins. I almost face planted because I nearly was shoved off into a picnic table on the first tight turn. After the levy, I had to pace myself because of the two laps. I did good on my first lap but my second lap was a different story. On every hill my legs burned. Thankfully, my training helped me stay strong on my second lap and I didn’t drop too badly. Sadly, right at the end I was passed by two kids. One I was able to go back and forth with but the other one was gone. I tried my best and finished 7th out of 47 HS Novice. I’m looking forward to the next race. One of my friends recently posted an article about the HPV (Human Papilloma Virus) vaccine. When I clicked on the link, it took me to a fairly official looking webpage from a “college of physicians” with possible safety warnings. I was somewhat shocked, since I hadn’t seen any other research or data about this. A few days later, I realized I had been duped. Fortunately, another friend who is a pediatrician, posted a response on Facebook calling out the group issuing warning. She also explained the warning wasn’t issued by the American Academy of Pediatrics, the primary organization that represents over 64,000 pediatricians. Instead, this bogus information emanated from a group easily confused with the AAP, but is limited to about 200 members with very specific and biased agendas. It was a good reminder for me, especially with all of the half-truths and rumors going around the Internet, to always check the legitimacy of the source. As a physician, I’m constantly seeing recommendations, certifications or guidelines from organizations that sound and look official but are really just sham organizations with dubious goals. How can you tell what’s legit and what’s not? In general, most “.gov” websites have solid, reliable information. This includes medlineplus.gov, alzheimers.gov, cancer.gov, cdc.gov as well as sites for the National Diabetes Education Program and National Heart Lung and Blood Institute. The majority of the “.edu” and “.org” websites should also be fairly reliable although you need to start to be a little more careful (the site I looked at with the fictitious claims above was an “.org “site). Some sites we like include Americanheart.org, diabetes.org, cancer.org, immunizenevada.org, sciencebasedmedicine.org and familydoctor.org. When you get to the “.com” or “.net” websites, definitely start to do your homework and look to see the source of the information. Sites like webmd.com, quackwatch.com and others can be helpful. Some “.com” sites, however, can be sponsored by pharmaceutical companies or other entities just wanting to make a buck. A few of the ways the less legitimate websites can fool you include: 1) Expert panels 2) books and/or authors of books and 3) references to bogus articles. Expert panels often consist of paid experts who don’t necessarily review the scientific literature and bring their own biases when they make their recommendations. While writing a book is huge accomplishment, books are not peer-reviewed literature and don’t necessarily contain valid evidence-based information. Similarly, while peer-reviewed articles are a great source of information, there are ways of getting articles published in less reputable journals without critical analysis. For the lay reader, it’s difficult to determine which references are legit and which aren’t. The bottom line: the Internet can be a great resource for both patients and health care providers but check to make sure the information you’re reading doesn’t just sound reliable but is reliable. And if in doubt, always talk to your physician to get their opinion because ultimately that’s what we’re here for. This article originally appeared in Galena Times. Reprinted with permission.